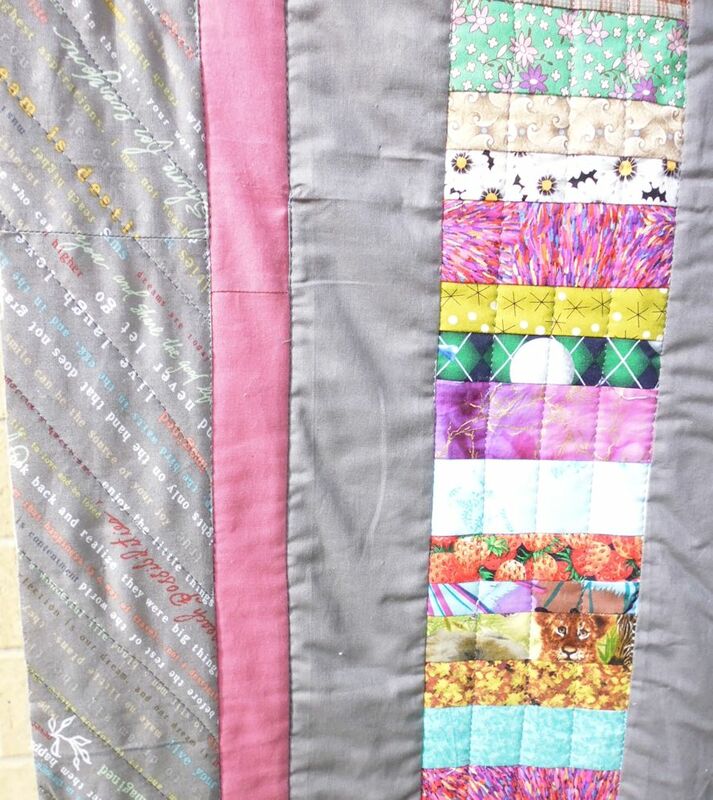 For this scrappy quilt, I started by stitching in the ditch around all the main elements. 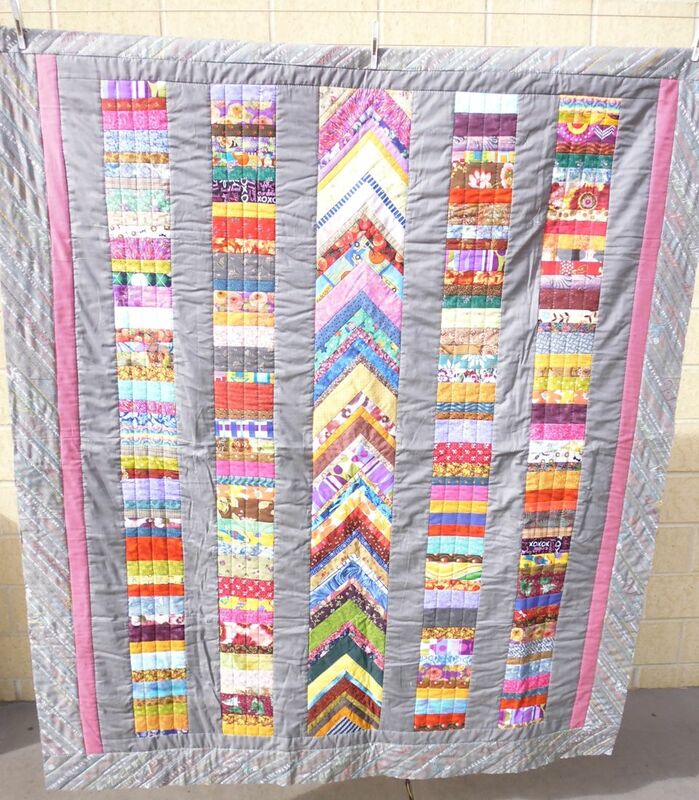 In the long blocks made of horizontal fabric scraps, I stitched long vertical lines, and for the chevron block, I stitched in the ditch every few chevrons. The border fabric was on a consistent angle, so I stitched straight lines (free motion, so not perfectly straight like you’d get with a ruler!) following the pattern of the fabric. I left the other areas unstitched.